Now you can pay the insurance premium of all the life insurers through Paytm including LIC of India. Let us know how to pay LIC insurance premium through Paytm Step By Step. To pay you LIC policy premium open your Paytm app or visit the website of Paytm through the desktop. If you do not have the Paytm app on your mobile, you can download it from Google Play Store or Apple app store. You will see different bill payment option at the homepage of the Paytm application. Choose Insurance Tab from these bill services. 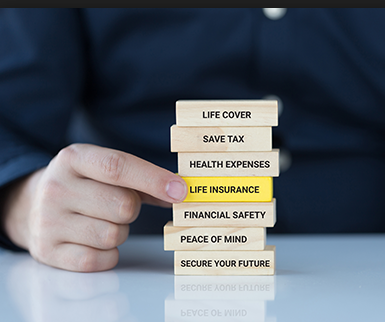 There is on more tab about insurance is available it is Life Insurance, this tab is to buy new life insurance plan and not for payment of renewal premium of your old policy. Please see the screenshot below. After choosing Insurance, a new page will open. Here you will see Select your Insurer. Click on it and now you will able to see name and logo of all the insurance service providers. To pay the premium of LIC of India policy, simply click on the LIC logo. When you click the LIC logo on the previous page, you will be redirected to the new page. Here you will see LIC of India written on top and you will see a place to provide your LIC policy number. Just type your 9 digits LIC policy number and click the Proceed Button provided below. 5.Paytm will fetch your information from LIC server. When you click Proceed, Paytm will fetch your premium-related information from LIC servers. On receiving your policy details it will be shown to you on screen. You will be able to see you Policy Number, Name of Policy Holder, Premium due date,Number of the installment due and amount to be paid (including tax). Please review all your policy details, if found right, click on Proceed to make payment. 6. Policy-related information will be displayed. Next, you will see a deal page provided by Paytm and its affiliates. You can choose any deal at your will or can proceed without choosing any deals or offers. 7. Choose any offer (if you want) before proceeding for payment. Next page will be related to payment. If you have sufficient balance in your Paytm wallet, simply pay your LIC premium using the wallet balance else pay through other available options like credit card, debit card, internet banking or ATM card. After successful payment, you will see a confirmation page, showing a success message, the amount you paid, Paytm Oder Id and your LIC policy number for which you have paid the premium. If you want you can rate the experience your payment on this page also. You will receive a message on your mobile number and email Id associated with Paytm. LIC premium will take 2-3 days to reflect your payment. Related Posts of "How to pay LIC premium through Paytm Step By Step In India"